Montana is a particularly beautiful state located in the Western area of the US. The state has enjoyed several unofficial nicknames because of its beauty including the likes of “Land of the Shining Mountains”, “Big Sky Country”, “The Last Best Place” and “The Treasure State”. Its mountainous terrain and natural beauty attracts millions of tourists each year. Big draws for tourists include the Glacier National Park, Yellowstone National Park and the Little Bighorn Battlefield. As such, it’s safe to say that business is booming for travel and tourism related businesses in the state. 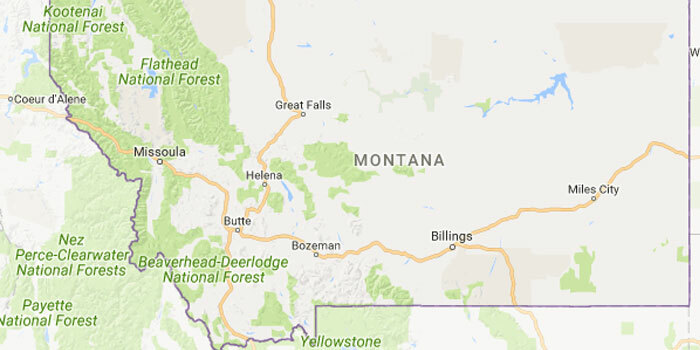 If you operate a business in this field, Montana is certainly one of the places to be in the US. When it comes to the economy, Montana owes a great deal of its wealth to the agricultural industry which includes ranch farming and grain farming. The healthcare industry, service industry and lumber industry are all second in line when it comes to big earners. At Sunshine Communication Services, Inc. we provide professional business telephone answering services to these industries in Montana. Our packages are designed to specifically cater for the competitive market and demands faced by a Montana corporation, and as such, go a long way towards boosting customer service levels and thus the business’ bottom line. How Our Telephone Answering Services Can Assist You! Many small and start-up businesses in Montana are faced with entering a highly competitive market. When your business is just starting out or starting to expand, there is an overwhelming number of things you will be expected to do. With the help of our team, you can free your time by eliminating the hours spent at your desk answering phone calls. Some businesses consider hiring new staff members, but soon the hassle of contract issues and the expense can become a burden for the new or growing business. 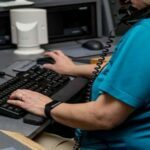 24-hour Telephone Answering Services – customers want to be answered. That’s a fact. If you’re too busy with other business tasks, don’t neglect your incoming calls and lose out on potential business. With our 24-hour answering service, your customers can call in for information, learn more about products, place orders, confirm appointments and even leave messages, regardless of whether you are personally available or not. Virtual Telephone Receptionist – in the consumer’s mind, anything is better than an unanswered call or a voice recorded message stating that you are unavailable. Our virtual telephone receptionist services are designed to provide your business with the type of professional image that attracts customers. This means that someone is always available to help them, regardless of what their needs might be. Never miss a call again. 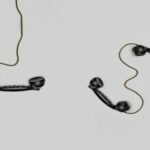 Virtual Answering Services – worried about missing out on Montana business due to missed calls, but don’t particularly want to hire someone to be in your office all day? You don’t have to! With our virtual answering services, you can reap the rewards of a dedicated receptionist without having them in-house. Our call-center agents can handle all your incoming calls, assist with orders, dispatch orders and even organize your calendar and your callers won’t even know that they’re not in-house. Outsourced Answering Services – hiring new employees can be expensive and a hassle in the long run. If you want to enjoy the benefits of the telephonic assistance a full-time employee can provide to your customers, but you don’t want to pay the associated costs or deal with the employment issues, outsource your incoming telephone answering service to us! 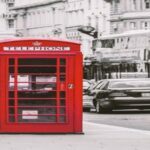 Small Business Phone Services – having a telephone answering service strategy custom designed to suit the specific needs of your small business is essential to the long-term success and growth of your business. No small business can become established without advertising and taking incoming calls promptly and efficiently. We will design a small business phone service that caters to the needs of your business. We will take calls, record your messages, ensure appointments are booked and confirmed and assist customers in any way possible – on your terms. Bilingual Answering Services – if you truly want to impress your customers, communicate with them in their language. All our business telephone answering agents are bilingual. You can communicate with your customers in English and Spanish. After-hours answering services – there’s so much happening during business hours that’s there’s bound to be times when customers need to book appointments or query your products after-hours. If you want to give your company the competitive edge, an after-hours answering service can make all the difference. With our after-hours service, you can choose what hours you need us to answer your incoming calls. We can do everything a full-time receptionist can do, at the times that best suit your busy schedule. Our first step towards assisting your business with streamlining calls and telephonic admin tasks is to provide you with your own dedicated business number. Then we will ensure that our agents familiarize themselves with your business and product information. Thereafter, we are ready to start receiving your calls. All our answering services are available 24/7/365. All our agents are qualified in the field and have been HIPAA certified, for your peace of mind. What’s more is that every answering service is provided by bilingual agents so that you can provide customers services in both English and Spanish. For more information and advice on our answering services in Montana, contact us at Sunshine Communication Services, Inc. today.